Euro wasn’t strong enough to reverse and righty now market is moving downwards again. Possibly, during the next several days market will continue falling down towards the group of strong fibo-levels at 1.3230 ‑ 1.3220. I opened sell order with tight stop. 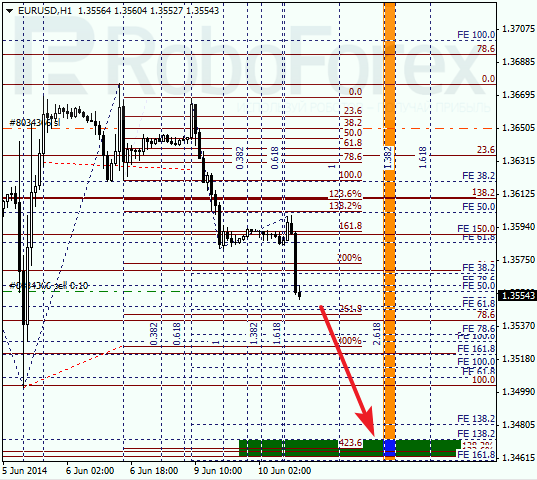 As we can see at H1 chart, first target bears may reach is the closest group of fibo-levels at 1.3470 ‑ 1.3460. According to analysis of temporary fibo-zones, this target may be reached during the next several days. After reaching it, price may start new local correction. Franc is starting new ascending movement. 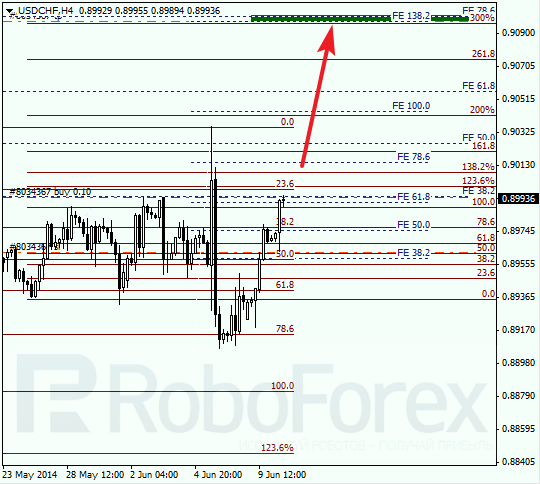 Closest target is the group of upper fibo-levels at 0.9100 ‑ 0.9095. Possibly, market may break maximum during the day. 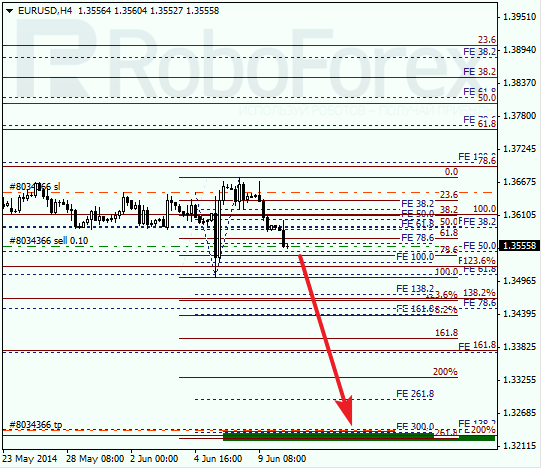 As we can see at H1 chart, upper targets are confirmed by several local fibo-levels. According to analysis of temporary fibo-zones, predicted targets may be reached by Wednesday.